For the 1905 partition, see 1905 Partition of Bengal. The Partition of Bengal in 1947, part of the Partition of India, divided the British Indian province of Bengal based on the Radcliffe Line between India and Pakistan. Predominantly Hindu West Bengal became a state of India, and predominantly Muslim East Bengal (now Bangladesh) became a province of Pakistan. On 20 June 1947, the Bengal Legislative Assembly met to decide the future of the Bengal Presidency, on whether it would be a United Bengal within India or Pakistan; or be divided into East and West Bengal. At the preliminary joint session, the assembly decided by 120 votes to 90 that it should remain united if it joined the new Constituent Assembly of Pakistan. Later, a separate meeting of legislators from West Bengal decided by 58 votes to 21 that the province should be partitioned and that West Bengal should join the existing Constituent Assembly of India. In another separate meeting of legislators from East Bengal, it was decided by 106 votes to 35 that that province should not be partitioned and 107 votes to 34 that East Bengal should join Pakistan in the event of partition. On 6 July 1947, the Sylhet referendum decided to sever Sylhet from Assam and merge it into East Bengal. The partition, with the power transferred to Pakistan and India on 14–15 August 1947, was done according to what has come to be known as the "3 June Plan" or "Mountbatten Plan". India's independence on 15 August 1947 ended over 150 years of British influence in the Indian subcontinent. East Bengal later became the independent country of Bangladesh after the 1971 Bangladesh Liberation War. In 1905, the first partition in Bengal was implemented as an administrative preference, making governing the two provinces, West and East Bengal, easier. While the partition split the province between West Bengal, in which the majority was Hindu, and the East, where the majority was Muslim, the 1905 partition left considerable minorities of Hindus in East Bengal and Muslims in West Bengal. While the Muslims were in favour of the partition, as they would have their own province, Hindus were not. This controversy led to increased violence and protest and finally, in 1911, the two provinces were once again united. However, the disagreements between Hindus and Muslims in Bengal which had sparked the Partition of Bengal in 1905 still remained and laws, including the Partition of Bengal in 1947, were implemented to fulfill the political needs of the parties involved. Then the members of the Muslim-majority areas of Bengal in a separate session passed a motion by 106–35 votes against partitioning Bengal and instead joining a new Constituent Assembly (i.e., Pakistan) as a whole. 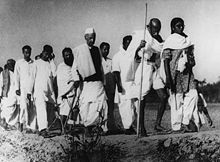 This was followed by the separate meeting of the members of the non-Muslim-majority areas of Bengal who by a division of 58–21 voted for partition of the province. Under the Mountbatten Plan, a single majority vote in favour of partition by either notionally divided half of the Assembly would have decided the division of the province, and hence the house proceedings on 20 June resulted in the decision to partition Bengal. This set the stage for the creation of West Bengal as a province of the Union of India and East Bengal as a province of the Dominion of Pakistan. Also in accordance with the Mountbatten Plan, in a referendum held on 7 July, the electorate of Sylhet voted to join East Bengal. Further, the Boundary Commission headed by Sir Cyril Radcliffe decided on the territorial demarcation between the two newly created provinces. Power was transferred to Pakistan and India on 14 and 15 August, respectively, under the Indian Independence Act 1947. After it became apparent that the division of India on the basis of the Two-nation theory would almost certainly result in the partition of the Bengal province along religious lines, Bengal provincial Muslim League leader Suhrawardy came up with a new plan to create an independent Bengal state that would join neither Pakistan nor India and remain unpartitioned. Suhrawardy realised that if Bengal was partitioned, it would be economically disastrous for East Bengal as all coal mines, all jute mills but two and other industrial plants would certainly go to the western part since these were in an overwhelmingly Hindu majority area. Most important of all, Calcutta, then the largest city in India, an industrial and commercial hub and the largest port, would also go to the western part. Suhrawardy floated his idea on 24 April 1947 at a press conference in Delhi. However, the plan directly ran counter to that of the Muslim League's, which demanded the creation of a separate Muslim homeland on the basis of the two-nation theory. Bengal provincial Muslim League leadership opinion was divided. Barddhaman's League leader Abul Hashim supported it. On the other hand, Nurul Amin and Mohammad Akram Khan opposed it. But Muhammad Ali Jinnah realised the validity of Suhrawardy's argument and gave his tacit support to the plan. After Jinnah's approval, Suhrawardy started gathering support for his plan. On the Congress side, only a handful of leaders agreed to the plan. Among them was the influential Bengal provincial congress leader Sarat Chandra Bose, the elder brother of Netaji and Kiran Shankar Roy. However most other BPCC leaders and Congress leadership including Nehru and Patel rejected the plan. The Hindu nationalist party Hindu Mahasabha under the leadership of Shyama Prasad Mukherjee vehemently opposed it. Their opinion was that the plan is nothing but a ploy by Suhrawardy to stop the partition of the state so that the industrially developed western part including the city of Kolkata remains under League control. They also opined that even though the plan asked for a sovereign Bengal state, in practice it will be a virtual Pakistan and the Hindu minority will be at the mercy of the Muslim majority forever. Although the chances of the proposal seeing daylight without Congress central committee's approval was slim, Bose and Suhrawardy continued talks to reach an agreement on the political structure of the proposed state. Like Suhrawardy, Bose also felt that the partition would severely hamper Bengal's economy and almost half of the Hindu population would be left stranded on the Pakistani side. The agreement was published on 24 May 1947. However, this was largely a political agreement. The proposal had hardly any support at grassroots level, particularly among the Hindus. Muslim League's continuous propaganda on the two-nation theory for the previous six years combined with the marginalisation of Hindus in the Suhrawardy ministry and the vicious riots of 1946, which many Hindus believed was state sponsored, left little room for trust in Muslim League among Bengali Hindus. Soon afterwards, division arose among Bose and Suhrawardy on the question of the nature of the electorate; separate or joint. Suhrawardy insisted upon maintaining the separate electorate for Muslims and Non-Muslims. Bose was opposed to this. He withdrew and due to lack of any other significant support from the Congress's side, the United Bengal plan was discarded. Still, this relatively unknown episode marked the last attempt among Bengali Muslim and Hindu leadership to avoid the partition and live together. Muslims majority districts: Dinajpur, Rangpur, Malda, Murshidabad, Rajshahi, Bogra, Pabna, Mymensingh, Jessore, Nadia, Faridpur, Dhaka, Tippera, Bakerganj, Noakhali and Chittagong. Non-Muslim majority Districts: Calcutta, Howrah, Hooghly, Birbhum, Burdwan, Bankura, Midnapore, Jalpaiguri, Darjeeling, 24 Pargana, Khulna and Chittagong Track hills. Pakistan: East Dinajpur, Rangpur, Rajshahi, Bogra, Pabna, Mymensingh, Sylhet (except Barak valley), Khulna, Bakerganj, Tippera, Noakhali, Chittagong, Jessore, East Nadia, Chittagong Track Hills. India: West Dinajpur, Jalpaiguri, Darjeeling, Malda, Murshidabad, West Nadia, Calcutta, 24 Pargana, Burdwan, Birbhum, Midnapore, Howrah, Hooghly and Barak Valley in Assam. The second partition of Bengal left behind a legacy of violence which continues to this day. As Bashabi Fraser put it, "There is the reality of the continuous flow of 'economic migrants' / 'refugees' / 'infiltrators' / 'illegal immigrants' who cross over the border and pan out across the sub-continent, looking for work and a new home, setting in metropolitan centres as far off as Delhi and Mumbai, keeping the question of the Partition alive today. " A massive population transfer began immediately after partition. Millions of Hindus migrated to India from East Bengal. The majority of them settled in West Bengal. A smaller number went to Assam, Tripura and other states. However the refugee crisis was markedly different from Punjab at India's western border. Punjab witnessed widespread communal riots immediately before partition. As a result, population transfer in Punjab happened almost immediately after the partition as terrified people left their homes from both sides. Within a year the population exchange was largely complete between East and West Punjab. But in Bengal, violence was limited only to Kolkata and Noakhali. And hence in Bengal migration occurred in a much more gradual fashion and continued over the next three decades following partition. Although riots were limited in pre-independence Bengal, the environment was nonetheless communally charged. Both Hindus in East Bengal and Muslims in West Bengal felt unsafe and had to take a crucial decision that is whether to leave for an uncertain future in another country or to stay in subjugation under the other community. Among Hindus in East Bengal those who were economically better placed, particularly higher caste Hindus, left first. Government employees were given a chance to swap their posts between India and Pakistan. The educated urban upper and middle class, the rural gentry, traders, businessmen and artisans left for India soon after partition. They often had relatives and other connections in West Bengal and were able to settle with less difficulty. Muslims followed a similar pattern. The urban and educated upper and middle class left for East Bengal first. However poorer Hindus in East Bengal, most of whom belonged to lower castes like the Namashudras found it much more difficult to migrate. Their only property was immovable land holdings. Many sharecropped. They didn't have any skills other than farming. As a result, most of them decided to stay in East Bengal. However the political climate in Pakistan deteriorated soon after partition and communal violence started to rise. In 1950 severe riots occurred in Barisal and other places in East Pakistan, causing a further exodus of Hindus. The situation was vividly described by Jogendranath Mandal's resignation letter to the then prime minister of Pakistan Liaquat Ali Khan. Mandal was a Namashudra leader and despite being a lower caste Hindu, he supported Muslim League as a protest to the subjugation of lower caste Hindus by their higher caste co-religionists. He fled to India and resigned from his cabinet minister's post. Throughout the next two decades Hindus left East Bengal whenever communal tensions flared up or relationship between India and Pakistan deteriorated, as in 1964. The situation of the Hindu minority in East Bengal reached its worst in the months preceding and during the Bangladesh Liberation War of 1971, when the Pakistani army systematically targeted ethnic Bengalis regardless of religious background as part of Operation Searchlight. In independent Bangladesh, state sponsored discrimination of Hindus largely stopped. But like India, the two communities relationship remains tense and occasional communal violence occurred, such as in the aftermath of Babri Mosque demolition. Migration to India continues to present day although now it is mostly due to economic reasons and is not limited to Hindus alone. Though Muslims in post-independence West Bengal faced some discrimination, it was unlike the state sponsored discrimination faced by the Hindus in East Bengal. While Hindus had to flee from East Bengal, Muslims were able to stay in West Bengal. Over the years, however, the community became ghettoised and was socially and economically segregated from the majority community. Muslims lag well behind other minorities like Sikhs and Christians in almost all social indicators like literacy and per capita income. Apart from West Bengal, thousands of Bihari Muslims also settled in East Bengal. They had suffered terribly in severe riots before partition. But they supported West Pakistan during Bangladesh's liberation war and were subsequently denied citizenship by Bengalis in independent Bangladesh. Most of these Bihari refugees still remain stateless. 1951 census in Pakistan recorded 671,000 refugees in East Bengal, the majority of which came from West Bengal. Rest were from Bihar. By 1961 the numbers reached 850,000. Crude estimates suggest that about 1.5 million Muslims migrated from West Bengal and Bihar to East Bengal in two decades after partition. In Punjab, Indian Government anticipated a population transfer and was ready to take proactive measures. Land plots which were evacuated by Muslims were allotted to incoming Hindu and Sikh refugees. Government allocated substantial resources for rehabilitation of refugees in Punjab. In contrast there was no such planning in the eastern part of the country. Neither Central nor West Bengal state Government anticipated any large-scale population exchange and no coordinated policy was in place to rehabilitate millions of homeless people. The newly independent country had few resource and the Central Government was exhausted in resettling 7 million refugees in Punjab. Instead of providing rehabilitation, the Indian Government tried to stop and even reverse the refugee influx from East Bengal. India and Pakistan signed the Nehru-Liaqut pact in 1950 to stop any further population exchange between West and East Bengal. Both countries agreed to take the refugees back and return them their property which they evacuated in their respective countries. But in practice both countries failed to uphold it. Even after it became clear that refugees were determined not to be sent back, the governments of both countries failed to provide any significant assistance. The Government policy of East Bengal refugee rehabilitation mostly consisted of sending them to 'empty areas', mostly outside of West Bengal. One of the most controversial of such schemes was the Government's decision to settle the refugees by force in Dandakaranya, a barren plot of land in central India. Without Government's assistance the refugees often settled themselves. Some found jobs in factories. Many took small businesses and hawking. Numerous refugee colonies sprang up in Nadia, 24 Paraganas and Kolkata's suburbs. The princely state of Tripura had a predominantly tribal population. But educated Bengalis were welcomed by the King and they were prominent in the state's administration in pre-independence India. But after partition thousands of Bengali Hindus migrated to Tripura. This changed the state's demography completely. Tripura's tribes became a minority in their own homeland and also lost their land holdings. As a result, tribal insurgency began which led violent riots among tribes and Bengalis in 1980. Low scale insurgency continues to this day. Jute was the largest industry in Bengal at the time of partition. Radcliffe's line left every single jute mill in West Bengal but four fifth of the jute producing land in East Bengal. The best quality fibre yielding breeds of jute were cultivated mostly in East Bengal. India and Pakistan initially went into a trade agreement to import raw jute from East Bengal for West Bengal's mills. However, Pakistan had plans to set up its own mills and put restrictions on raw jute export to India. West Bengal's mills faced acute shortage. The industry faced a crisis. On the other hand, jute farmers in East Bengal were now without a market to sell their produce. Jute export to West Bengal suddenly became an anti-national act for Pakistan. Smuggling of raw jute shot up across the border. However West Bengal rapidly increased jute production and by mid-to-late 1950s became largely self-sufficient in jute. West Bengal's mills became less dependent on East Bengal for raw material. Pakistan also set up new factories to process its local produce instead of exporting to India. The following table shows jute production details in two countries in 1961. West Bengal's paper and leather industry faced similar problems. The paper mills used East Bengal's Bamboo and the tanneries consumed leather, also mainly produced in East Bengal. Like jute, lack of raw material pushed these two industries into decline. Despite center and state governments' best efforts, the pressure of millions of refugees, food shortages and industrial decline put post-independence West Bengal in a severe crisis. Dr. B. C. Roy's government tried to cope up with the situation by initiating several projects. The government built irrigation networks like DVC and Mayurakshi project, the Durgapur industrial zone and the Salt Lake City. But these failed to arrest West Bengal's decline. Poverty rose. West Bengal lost its top place and lagged well behind other Indian states in industrial development. Massive political unrest, strikes and violence crippled the state throughout the next three decade after partition. Rail and road links connecting North East India to the rest of the country passed through East Bengal territory. The lines connecting Siliguri in North Bengal to Kolkata and Assam to Chittagong were severed. The whole Assam Railway was cut off from the rest of the Indian system. These lines carried almost all freight traffic from these regions. The most important commodities were tea and timber. The tea industry in Assam depended on the Chittagong port to export its produce and import raw materials for the industry such as coal which was used as the fuel to dry the tea leaves. The industry was severely hit as Chittagong port went to Pakistan. Initially India and Pakistan reached an agreement to allow cross border transit traffic but now India had to pay a tariff. By 1950, India reconnected Assam to the rest of the country's rail network by building a 229 km meter gauge rail link through the Siliguri Corridor. But now the Tea chests from Assam's gardens would have to be carried over a much longer distance to reach the Kolkata port. Exporting tea via the nearby Chittagong port was still an option but after 1965's war all transit traffic was switched off by Pakistan. East Pakistan became independent Bangladesh in 1971 but cross border railway traffic did not resume until 2003. By the 1990s, India upgraded the Assam rail link to broad gauge right up to Dibrugarh thereby easing the traffic problem in Brahmaputra valley region, but the southern section of this area which comprises Tripura, Mizoram, Manipur and Barak valley of Assam still faces serious connectivity problem. Talks between the two countries are currently underway to allow transit traffic between this area and mainland India through Bangladesh. At the time of partition, East Bengal had no large industry. There were few mineral resources in this region. Its economy was completely agrarian. The main produce was food grains and other crops, jute, bamboo, leather and fish. These raw materials were consumed by factories in and around Kolkata. Kolkata was the center of Bengal's economic and social development for both Hindus and Muslims. All large industries, military bases, government offices and most of the institutions of higher education were situated in Kolkata. Without Kolkata, East Bengal was decapitated. It lost its traditional market for agricultural products. It also lost the Kolkata port, the premium port of the whole country at that time. East Bengal had to begin from nothing. Dhaka at that time was only a district headquarters. Government offices had to be placed inside makeshift buildings. Dhaka also faced a severe human resource crisis. The majority of high-ranking officers in British Indian administration were Hindu and they migrated to West Bengal. Often these posts had to be filled up by West Pakistani officers. Desperately poor, East Bengal soon became politically dominated by West Pakistan. Urdu was imposed upon the whole country. Economic disparities and subjugation of Bengalis by the Punjabi elite eventually led to struggle for separation. Chinnamul (The Uprooted) a 1950 Bengali film directed by Nemai Ghosh, first dealt with the theme of partition of Bengal. This was followed by Ritwik Ghatak's trilogy, Meghe Dhaka Tara (Cloud-covered stars) (1960), Komal Gandhar (1961), and Subarnarekha (1962), all dealing with the aftermath of the partition. The film Rajkahini directed by Srijit Mukherji is also based on the theme of partition of Bengal 1947. ^ During Bangladesh liberation war 11 million people from both communities took shelter in India. After the war 1.5 million decided to stay. ^ Mukherjee 1987, p. 230. ^ "India's History : Modern India : The First Partition of Bengal : 1905". ^ Baxter 1997, pp. 39–40: "The new province had a Muslim majority of about three to two ... The partition was widely welcomed by Muslims and sharply condemned by Hindus. Hindu opposition was expressed in many forms, ranging from boycott of British goods to revolutionary activities ... protests eventually bore fruit, and the partition was annulled in 1911." ^ Tripathi 1998, p. 87. ^ Chakrabarty 2004, p. 138. ^ Chakrabarty 2004, p. 132. ^ a b Chakrabarty 2004, p. 135. ^ Jalal 1994, p. 266: "The president of the Bengal League, Maulana Akram Khan, publicly rejected any notion of a Bengali nation in which Muslims and Hindus would share power ... The speaker of the Bengal assembly, Noorul Amin, was confident that he could become the chief minister of east Bengal and so wanted partition." ^ Jalal 1994, p. 265: "An undivided Bengal was vital for Jinnah's strategy ... Jinnah told Mountbatten ... 'What is the use of Bengal without Calcutta; they had better remain united and independent.'" ^ Chakrabarty 2004, p. 137. ^ a b Chakrabarty 2004, pp. 140-147. ^ Tripathi 1998, p. 86. ^ Chakrabarty 2004, p. 142. ^ Chakrabarty 2004, p. 141. ^ Chakrabarty 2004, p. 149. ^ Tripathi 1998, pp. 86, 186. ^ Chakrabarty 2004, p. 143. ^ Fraser 2008, p. 40. ^ Chatterji 2007, p. 111. ^ a b c "A home... far from home?". The Hindu. 30 July 2000. Archived from the original on 5 March 2007. ^ a b c d Chatterji 2007. ^ Chakrabarty 2004, p. 113. ^ Chatterji 2007, p. 181. ^ Rajinder Sachar (2006). Sachar Committee Report (PDF) (Report). ^ a b Hill et al. 2008, p. 13. ^ Luthra 1972, pp. 18-19. ^ Chatterji 2007, p. 166. ^ Chatterji 2007, p. 240. ^ Schendel 2005, pp. 158-159. ^ Schendel 2005, p. 159. ^ Chatterji 2007, pp. 241-242. ^ Schendel 2005, p. 150. ^ Jalal 1994, p. 3: "Stripped of Calcutta and western Bengal, eastern Bengal was reduced to the status of an over-populated rural slum." ^ Roy & Bhatia 2008, pp. 66-68. Baxter, Craig (1997). Bangladesh: From a Nation to a State. Boulder, CO: Westview Press. ISBN 0-8133-2854-3. Chakrabarty, Bidyut (2004). The Partition of Bengal and Assam, 1932-1947: Contour of Freedom. Routledge. ISBN 9781134332748. Fraser, Bashabi (2008). Bengal Partition Stories: An Unclosed Chapter. New York: Anthem Press. ISBN 1-84331-299-9. Roy, Anjali Gera; Bhatia, Nandi (2008). Partitioned lives : narratives of home, displacement, and resettlement. New Delhi: Dorling Kindersley (India). ISBN 9788131714164. Mukherjee, Soumyendra Nath (1987). Sir William Jones: A Study in Eighteenth-century British Attitudes to India. Cambridge University Press. ISBN 978-0-86131-581-9. Schendel, Willem van (2005). The Bengal Borderland: Beyond State and Nation in South Asia. Anthem Press. ISBN 978-1-84331-145-4. Luthra, P. N. (1972). Rehabilitation. New Delhi: Publications Division. Tripathi, Amales (1998). স্বাধীনতার মুখ [Svādhīnatāra mukha]. Ananda Publishers. ISBN 9788172157814. Bandopadhyay. জিন্না/পাকিস্তান – নতুন ভাবনা. Hill, K.; Selzer, W.; Leaning, J.; Malik, S. J.; Russell, S. S. (2008). "The Demographic Impact of Partition: Bengal in 1947". Chattopadhyay, Subhasis (2016). "Review of Bengal Partition Stories: An Unclosed Chapter edited by Bashabi Fraser". Prabuddha Bharata or Awakened India. 121 (9): 670–672. ISSN 0032-6178. Harun-or-Rashid (2012). "Suhrawardy, Huseyn Shaheed". In Islam, Sirajul; Jamal, Ahmed A. Banglapedia: National Encyclopedia of Bangladesh (Second ed.). Asiatic Society of Bangladesh. Harun-or-Rashid (2012). "Partition of Bengal, 1947". In Islam, Sirajul; Jamal, Ahmed A. Banglapedia: National Encyclopedia of Bangladesh (Second ed.). Asiatic Society of Bangladesh. Tan, Tai Yong; Kudaisya, Gyanesh (2000). The Aftermath of Partition in South Asia. Routledge. ISBN 0-415-17297-7. Prasad, Rajendra (1947). India Divided (PDF) (3 ed.). Bombay: Hind Kitabs. Singh, J. J. (15 June 1947). "Partition of India: British Proposal Said to be Only Feasible Plan Now". The New York Times (Letter to editor). p. E8. Mookerjea-Leonard, Debali. (2017). Literature, Gender, and the Trauma of Partition: The Paradox of Independence London and New York: Routledge. ISBN 978-1138183100. This page was last edited on 21 March 2019, at 10:49 (UTC).